From The Heartland: Dvorak's 'American' Quartet Commentator Rob Kapilow offers a guide through Antonin Dvorak's "American" quartet, written by the Czech composer during the summer of 1893 when he stayed in the Czech expatriate community of Spillville, Iowa. 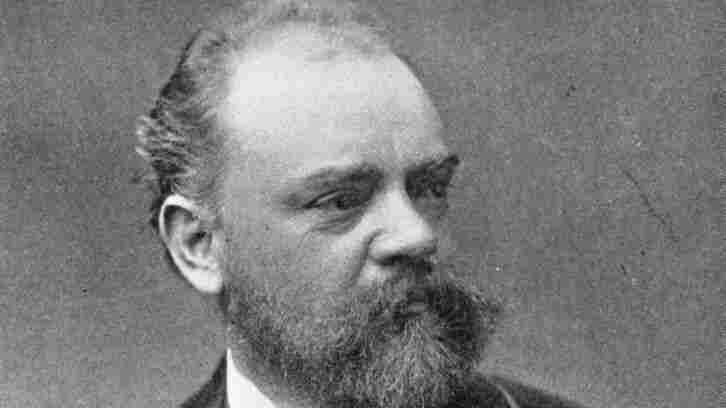 Czech Composer Antonin Dvorak (1841 - 1904). Czech composer Antonin Dvorak spent the summer of 1893 in village of Spillville, Iowa — a town populated almost entirely by Czech expatriates. Of his time there, Dvorak said "As for my new Symphony, the F major String Quartet and the Quintet (composed here in Spillville) — I should never have written these works 'just so' if I hadn't seen America." Composer, pianist, and frequent NPR commentator Rob Kapilow offers a guide through Dvorak's String Quartet No. 12 in F major Op. 96, and explains how the young nation influenced the European musician.